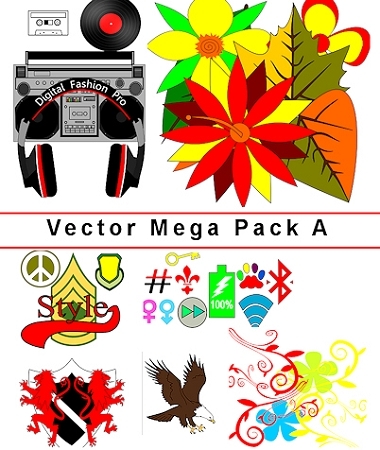 Home > SHOP FASHION DESIGNER PRODUCTS > DFP - Vector Art Store > 7dc- VAG-Vector Art Mega Pack A. Over 200 Art Files / 23 Packs Combined into One Mega Pack. 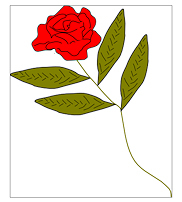 Use in your designs. This is an Electronic Item. Discount Package! Save Over $125 Today! Note: This item will be emailed to you within 8 hours of purchase after successful verification unless ordered at the same time as Digital Fashion Pro. If ordered with Digital Fashion Pro - it will not be sent until Digital Fashion Pro Registration is Completed. This item is not included in any packages.. Please check your E-mail or junk mail folder for download instructions. You can buy these packs separately or in this Mega Pack. Create hot new styles using this vector artwork. Download to your hard drive, unzip and use! 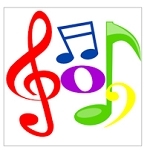 See instructions on the Vector Art Gallery Page. You have the ability to change colors, add texture, add fabric, manipulate, customize and combine other vector artwork into one big design. Mix and match to create hot new designs. Have fun! 12/14/15 Update: Now includes Tassels, Locks and Hangers. To see what is included in each pack click on the Vector Art Store Link Below and explore each item. System Requirements: Digital Fashion Pro V8 is needed to use this upgrade. You can also use this product with Adobe Illustrator.